I have a few small, medium and large sponsor spots available for October if anyone is interested. October will be an exciting month (lots of new things going on!) and I would love for you to be a part of my blog. Sponsorship has changed a bit so please check out the sponsor page for more information. 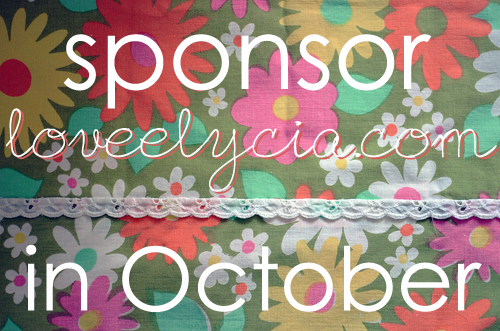 If you are interested in sponsoring please email me at loveelycia[at]gmail[dot]com. This is freaky! My name is Elysia and I have that pillow case as well.